You’ve probably seen them on your feed as you’ve scrolled through various slime videos and Jeff Goldblum appreciation posts. Instapoets—who, as you might guess, are poets whose fan bases are bolstered mainly through the app Instagram—are becoming increasingly prevalent. 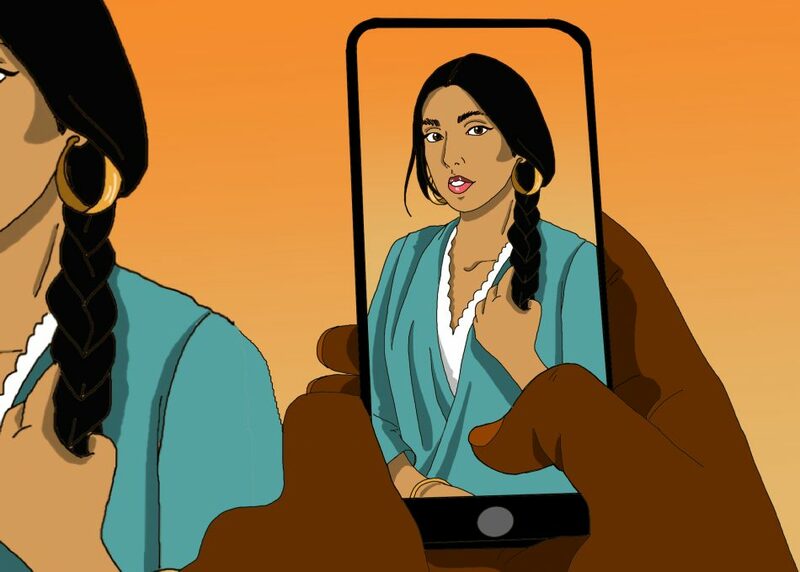 Celebrities have quoted them, their works have become bestsellers, and almost every social media-savvy person nowadays knows who Rupi Kaur is. In her style, insightful tidbits hide inside of minimalistic sketches, and the popularity of her work has been making waves in the literary world. As with most trends that challenge traditional art mediums, poetry published on social media has developed a bad rep. First, there’s no need to describe poetry found on social media as anything else but poetry, and the fact that Instapoets have been put into a different category than print poets is ludicrous. It should be the content that defines a person’s work, not the platform. I can respect the argument that creating work that panders directly to specific audiences can lead to unoriginal, disingenuous ideas that may not reflect the writer’s true vision. I understand the concern that Instagram poetry can be considered the junk food of poetry. With that being said, Kaur’s work is still allowing people to regain interest in a dying medium that might otherwise be perceived as pretentious or inaccessible. It gives people a chance to appreciate poetry rather than fear it. And if it leads even one person to be inspired, then I think that it’s a wonderful thing. Instagram also gives writers a chance to cash in. Making money while trying to be a writer full-time is no easy task, and Instagram’s popularity and user-friendly interface makes it easy for them to get publishers’ attention. It’s hard to convince a publishing company to prioritize your work out of the countless stacks of submissions they go through, and having a pre-existing following online makes it easier to prove that you deserve to be picked up. I struggle to see the reasoning behind supporting print or classic poetry for the sake of its age or reputation. Critics probably read Shakespeare’s sonnets and decided that Homer’s work was more profound in the same way that Rupi Kaur and other Instapoets are being criticized today. Call it cultural conditioning, but it seems like every time a new artist comes around and mixes things up, they’re criticized heavily and compared to the artists who have come before them. Instagram provides a platform for every poet’s voice to be heard. Who gains notoriety through it is up to the masses. Rather than having gatekeepers decide whose content is worthy and whose is not, writers have full reign over their own words on social media, which allows underdogs in Canadian literature to be appreciated. Whether you love or hate poetry published on social media, there’s no denying that the writers on it have sparked a revival in the written form. Rather than grabbing pitchforks and declaring Instapoets the enemy, maybe it’s time to encourage the artists who have managed get people interested in poetry again.